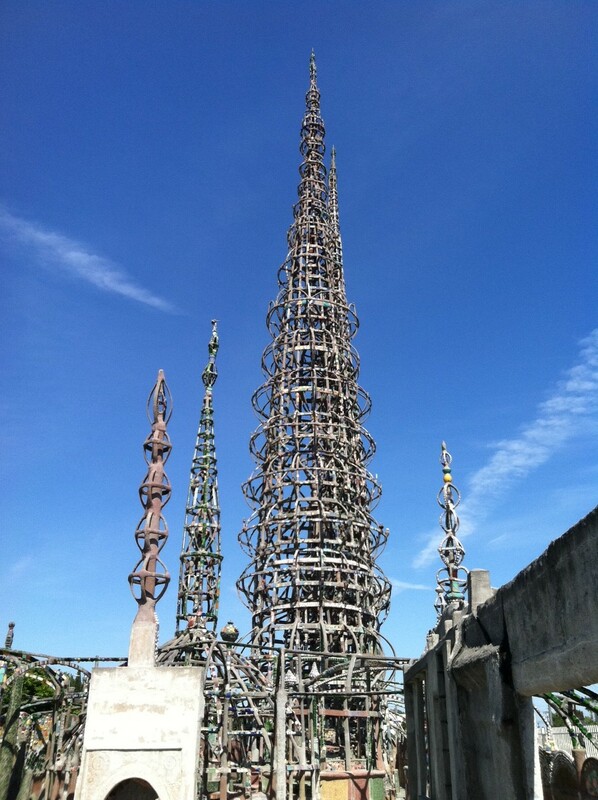 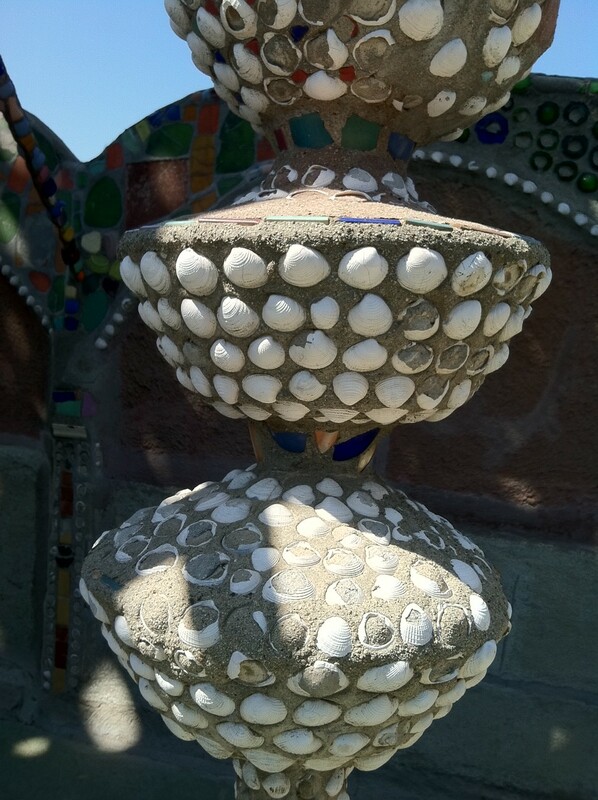 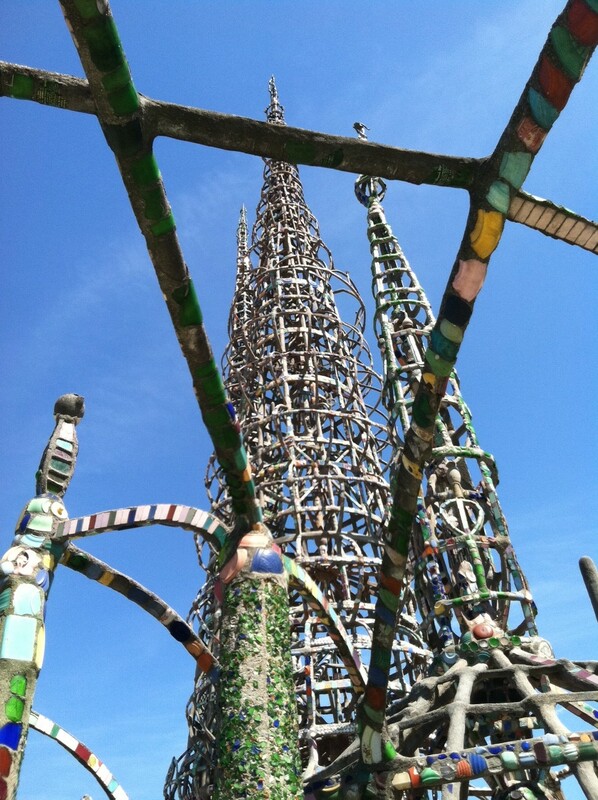 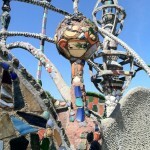 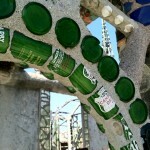 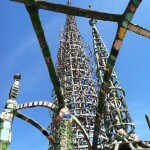 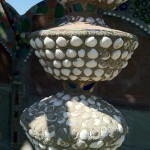 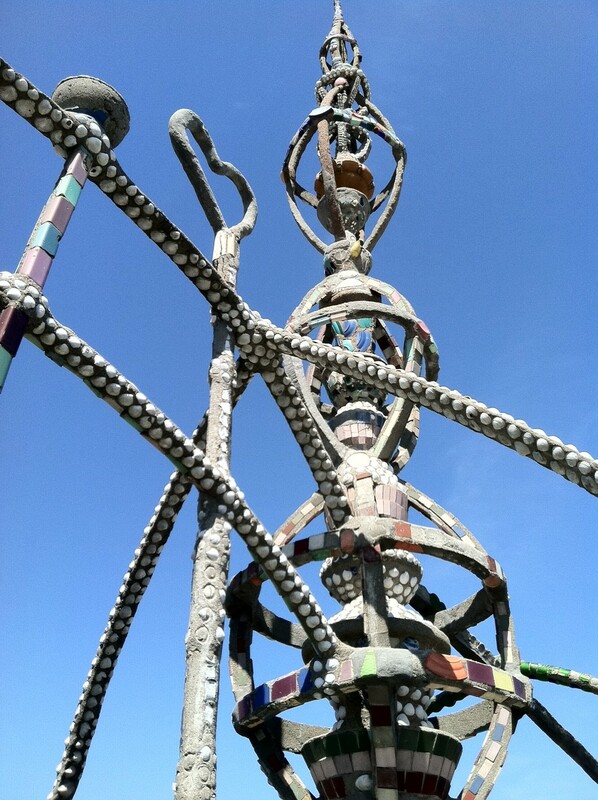 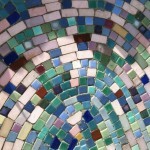 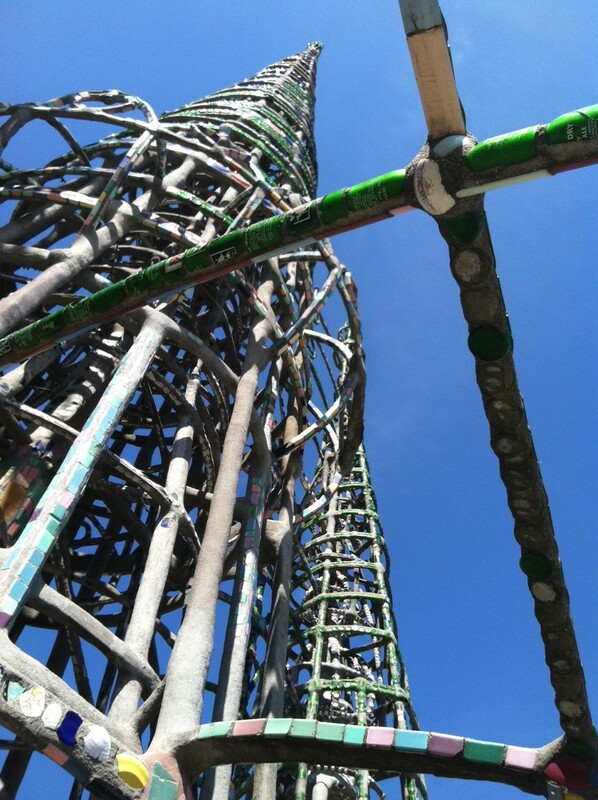 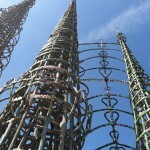 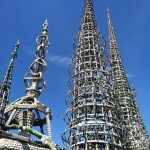 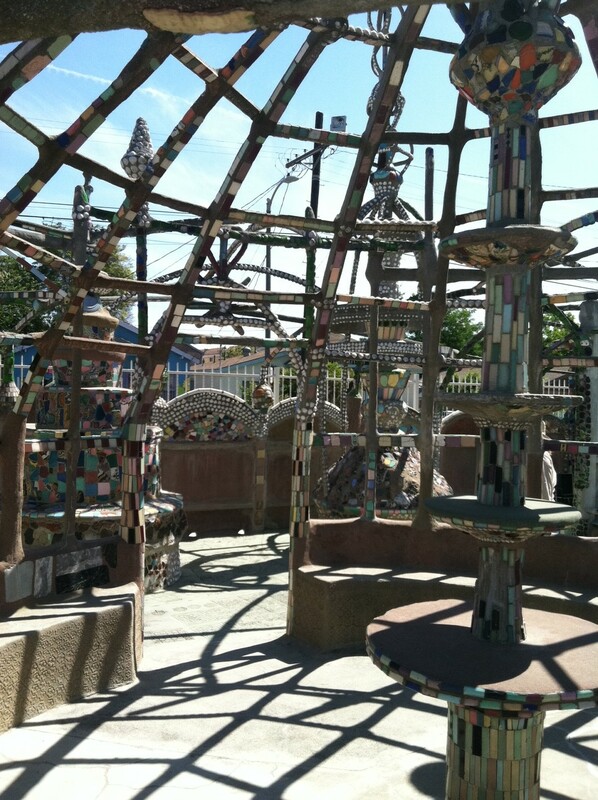 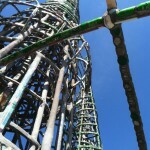 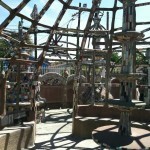 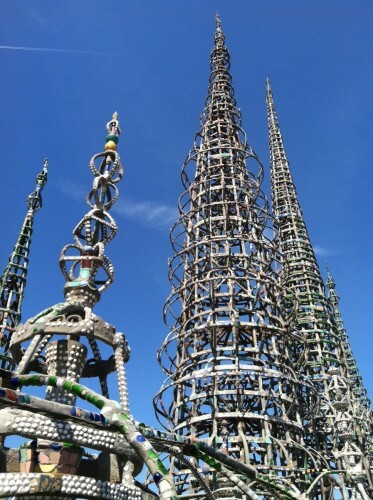 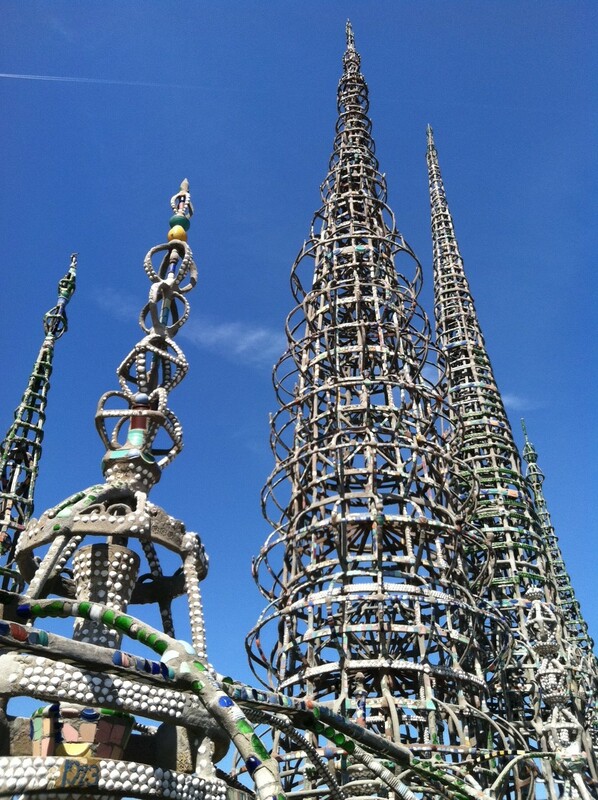 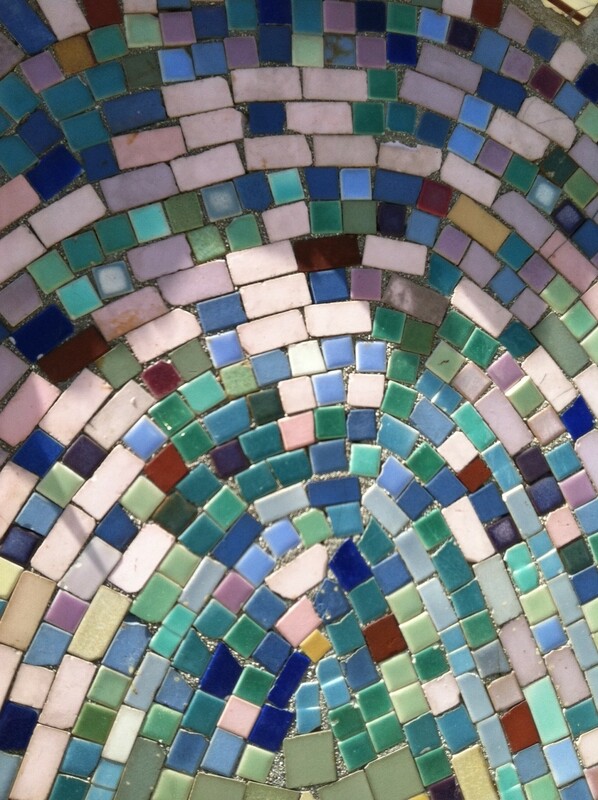 Yesterday we visited one of our favorite sites in Los Angeles: Watts Towers. 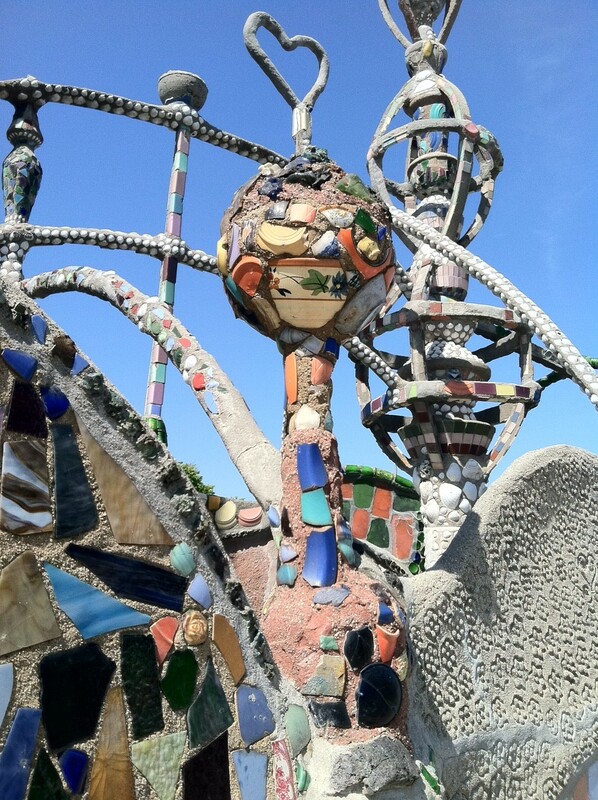 The amazing complex, which includes four towers, a gazebo, fountains, and a slew of other jumbled elements, was designed by Simon, or Sam Rodia, a tile factory worker who labored on the project basically without stopping for over thirty years (from 1921-1954). 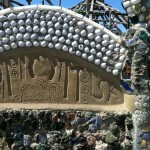 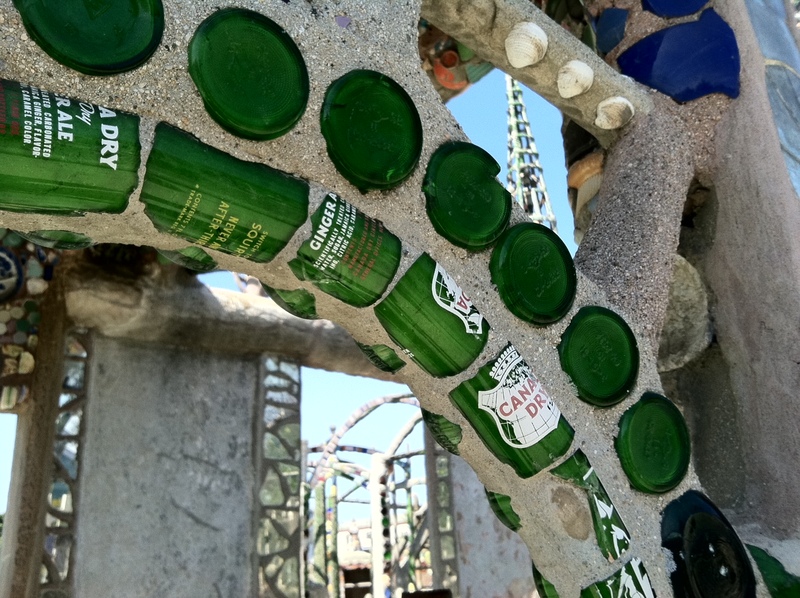 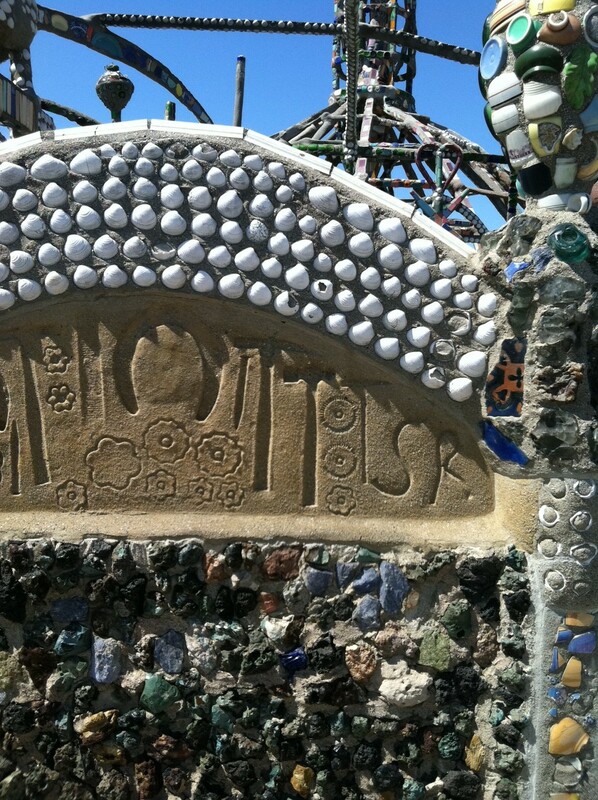 The structures rise as high as 100 feet and are clad with broken bottles, tiles (over 15,000 of them), sea shells, and pretty much anything else Rodia could get his hands on. 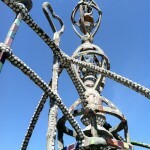 Their frame is made from chicken wire, barbed wire, coat hangers, and other makeshift materials. 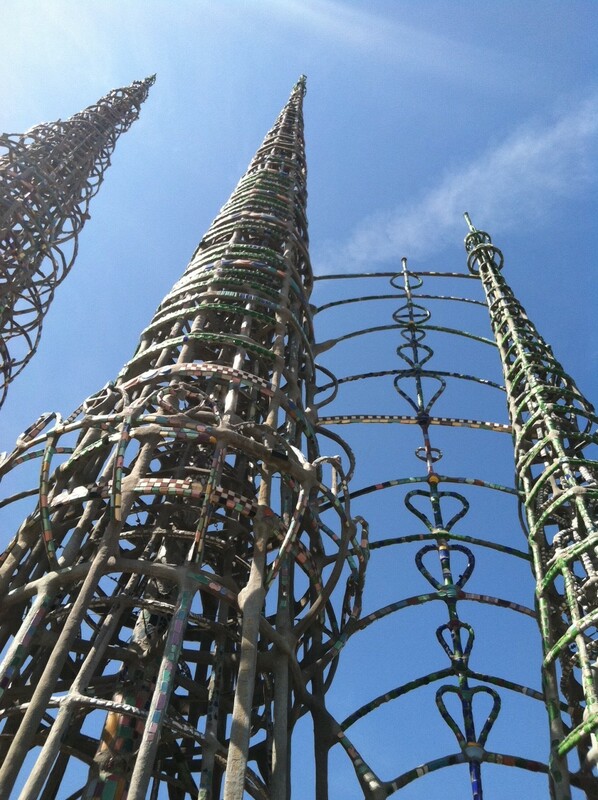 The feat is all the more amazing considering that Rodia didn’t study any sort of building trade and was illiterate. 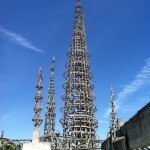 He usually worked until 1 or 2 in the morning then went back to work in a factory the next day.